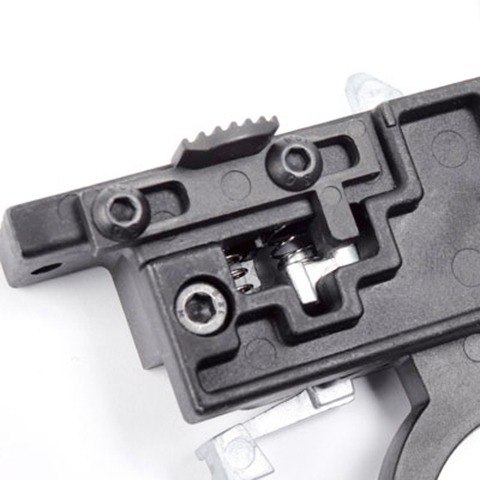 Reinforced trigger set specially designed for King Arms K93 air cocking sniper rifle to increase the performance, reliability and accuracy as well. 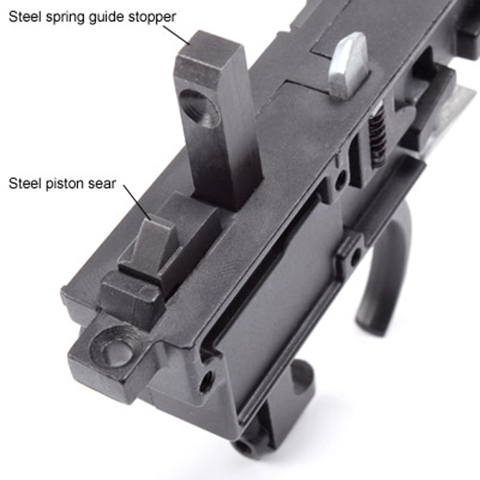 Integrated with steel spring guide stopper and steel piston sear. 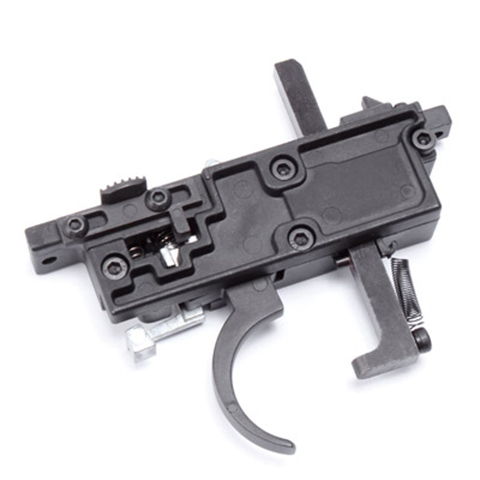 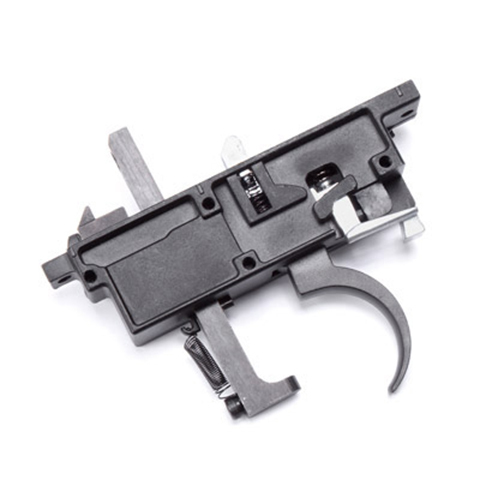 Recommend to upgrade with this trigger set for M170 or higher power spring.